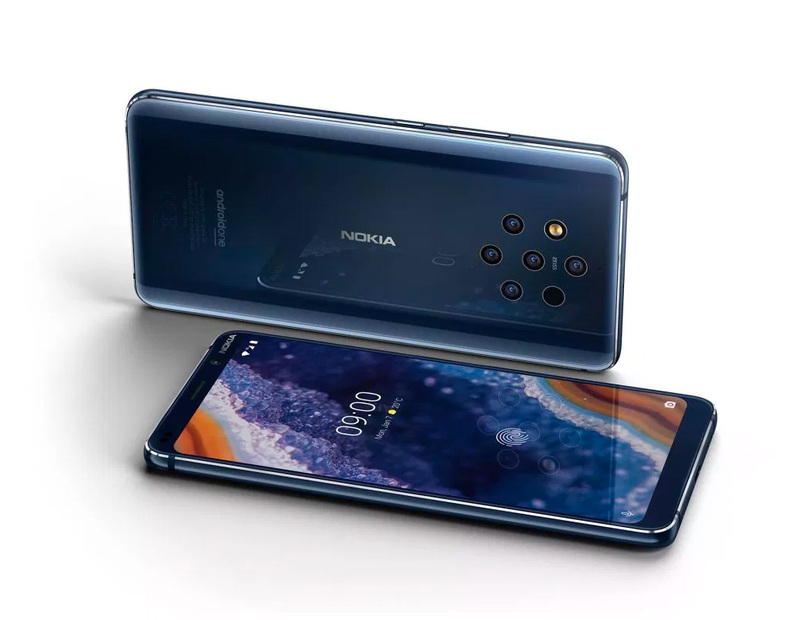 Nokia just pulled out its new flagship phone. The Android-powered 9 PureView features a 6-module camera developed in partnership with Leica, to take photos of a quality never-before-seen with a smartphone. The camera array includes two 12 MP RGB sensors featuring Zeiss optics, three 12 MP monochrome sensors with Zeiss lenses, and a time-of-light (ToF) depth sensor. The front-facing camera will take a 20MP selfie. In addition to all the camera tech, it’s a powerful device with every feature you expect & then some. The Sphero RVR robot makes driving, programming and customization a snap. 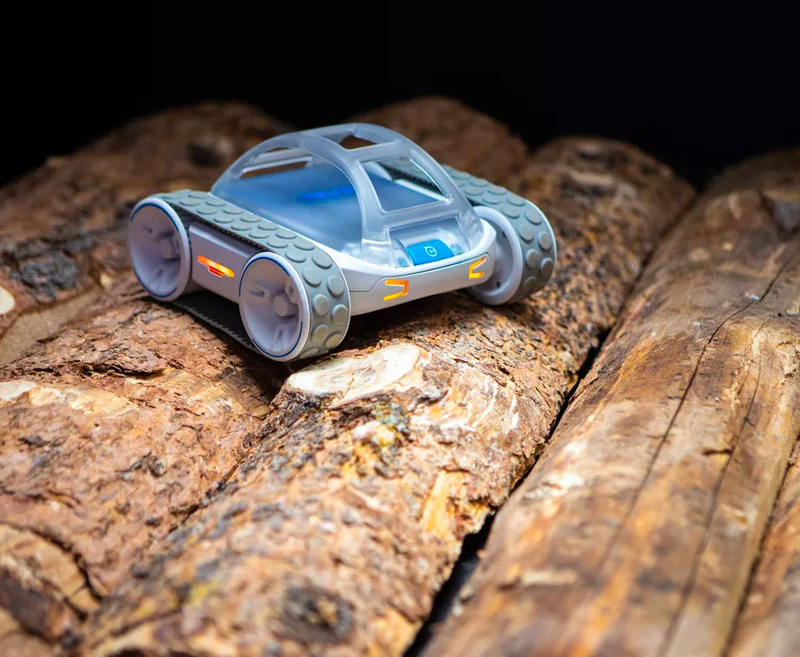 Right out of the box, this all-terrain ’bot is drivable and programmable, packed with a diverse suite of sensors and built on Sphero’s easy-to-use Edu app. It’s also got a universal expansion port and onboard power, so users can attach and run third-party hardware like Raspberry Pi, BBC micro:bit, or Arduino. Customize it to be a home security sentry, a roving environmental sensor, a souped-up battle bot or a personalized mobile voice assistant. Basically, if you can hack it, RVR can do it. A funded Kickstarter. Sometimes when we jump on those version 1.0 products, we jump too soon. Case in point: the second-generation version of Anker’s extra-large PowerHouse portable battery. This new one is much smaller, lighter, and nearly half the price. 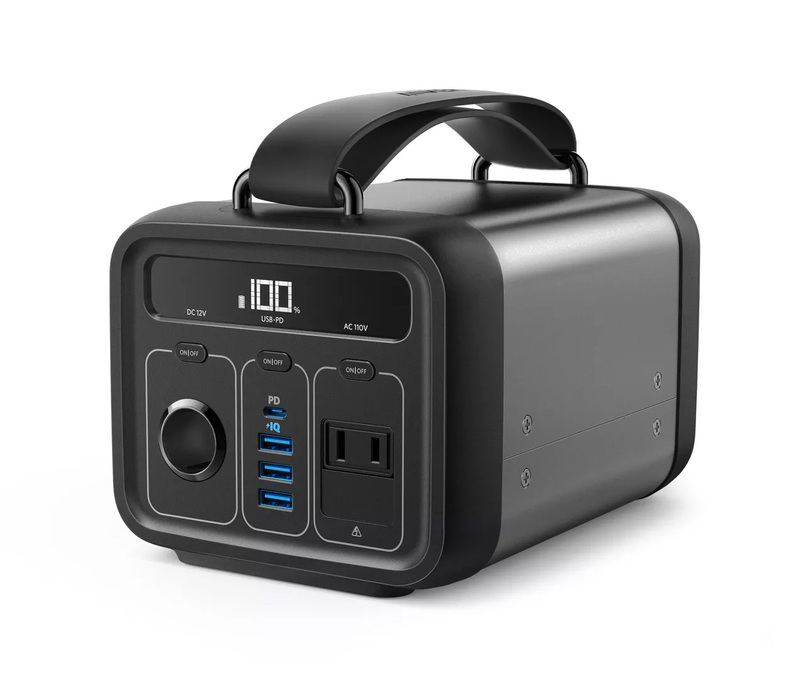 Granted it’s not as powerful as the original big boy but this 7-pound PowerHouse 200 cube gives users 200Wh of power, 1 vehicle-class 9V port, a 100-watt AC output, 2 fast charge USB-A ports, and 1 USB delivery port. Recharges via USB-C, AC, or solar. 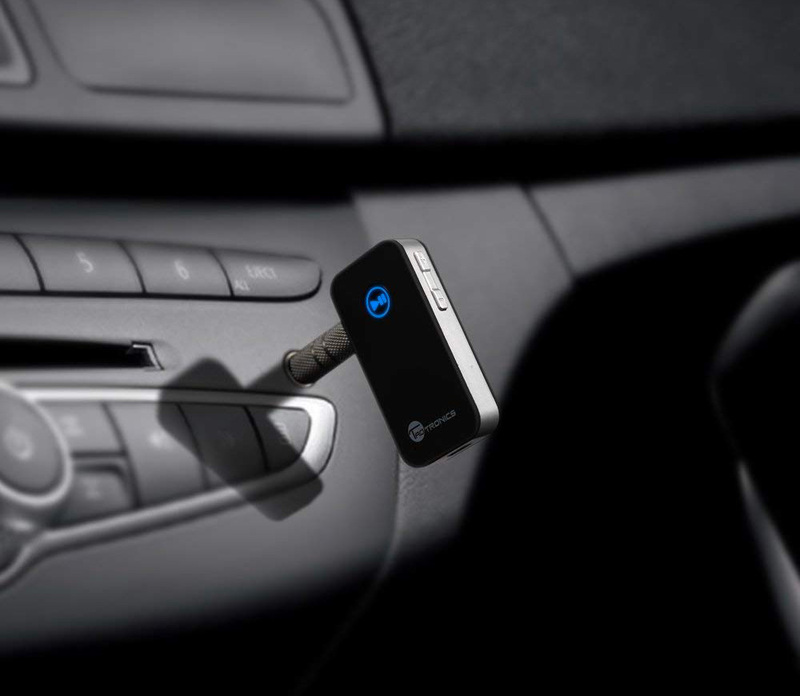 If you drive a car that doesn’t have built-in bluetooth and you’re still running the AUX cord to play songs and stream, this compact Bluetooth Receiver from TaoTronics will get you connected. About the size of a car key fob, this little device gives you instant, portable bluetooth connectivity by plugging into your AUX port. It delivers 10-hours of playback on a charge and syncs with two devices simultaneously for calls, music, even access to Siri. For legit portable power, the Zendure SuperTank is at the top of the stack. 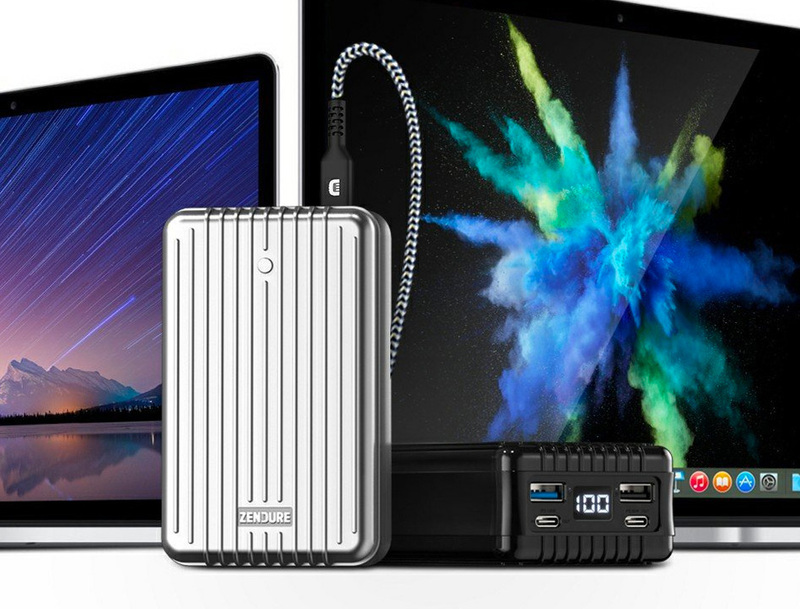 It’s a 27,000 mAh portable charger with dual USB-C PD (100W + 60W) & dual USB-A ports, capable of charging your MacBook Pro from 0-100% in just 1.5 hours, plus power up all your other compatible devices. It’s also equipped with 4 USB outputs. The design is super-durable and it takes just 1 hour to fully recharge. Another funded Kickstarter. When the crew you came with disperses into the crowd, the LynQ Tracker can help you find find them again. It’s a sort of digital compass that uses GPS to guide you back to your people. Up to 12 of these devices can be linked together. It doesn’t need a cellular connection or data to track locations and has a range of about 5 miles, which could come in handy for festivals, hikes, and other outdoor adventures. Battery life: 3 days. These devices will be available this summer. 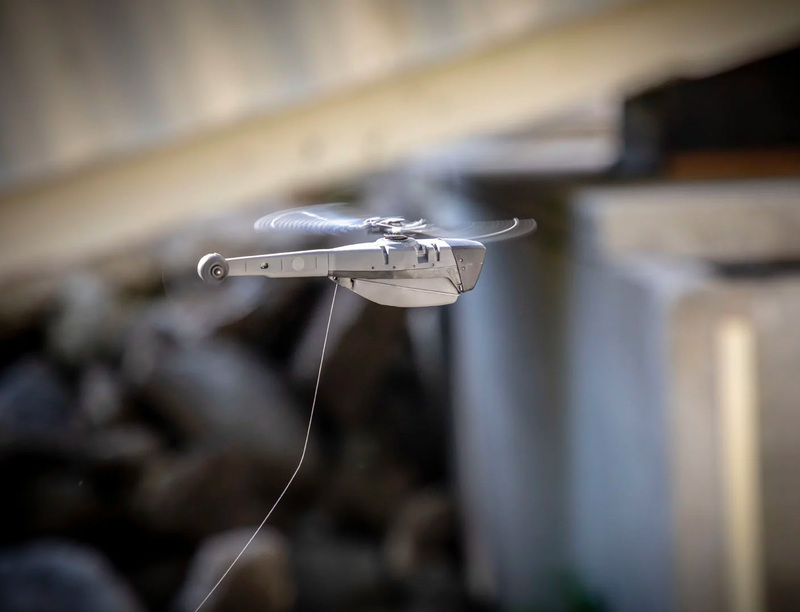 FLIR’s Black Hornet PRS is an “airborne personal reconnaissance system for dismounted soldiers.” Translation: it’s a pocket-size drone originally designed for military units who need undetectable recon in combat situations. This combat-proven drone is extremely light, nearly silent, and boasts a flight time up to 25 minutes. It uses EO & infrared optical technologies to transmit live video & HD still images day or night. The imagery is transmitted through an encrypted data link with ranges up to 2 kilometers & is stored on removable SD cards in the device. No word yet on civilian availability. Mui has created an interactive smart display that can control all of the IOT appliances and devices in your home. 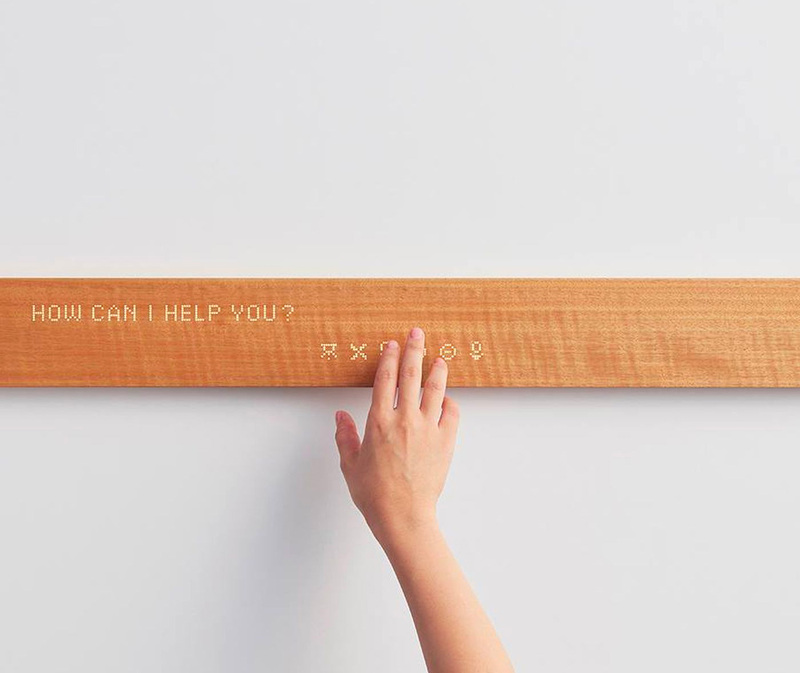 But it isn’t some OLED touchscreen or e-ink remote, it’s a piece of wood. Sanded Sycamore, Cherry, Maple, or Ash to be exact. It’s touch-activated and pairs with a dedicated app to deliver voicemail, weather, clock, and timer functions as well as working with connected devices like thermostat, light dimmers, and music players. With the launch of their Game Drive for PS4, Seagate is giving players either 2TB or 4TB of game-specific storage. It offers effortless USB connectivity, installs in less than three minutes, making set-up quick and easy. The drive does not need a separate power cord, so users can easily slip it into a pocket or backpack and take their game library wherever they go. 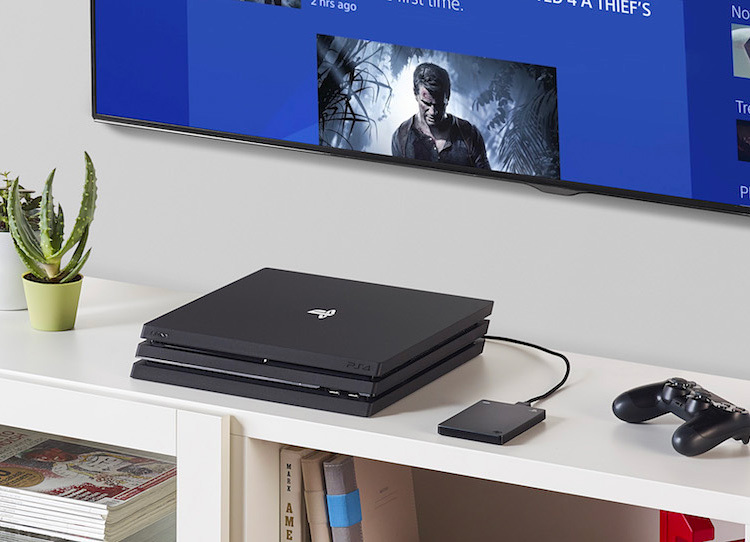 That means instant, portable access to approximately 502 downloaded games, add-ons and achievements for continued gameplay on any generation of the PS4 system. 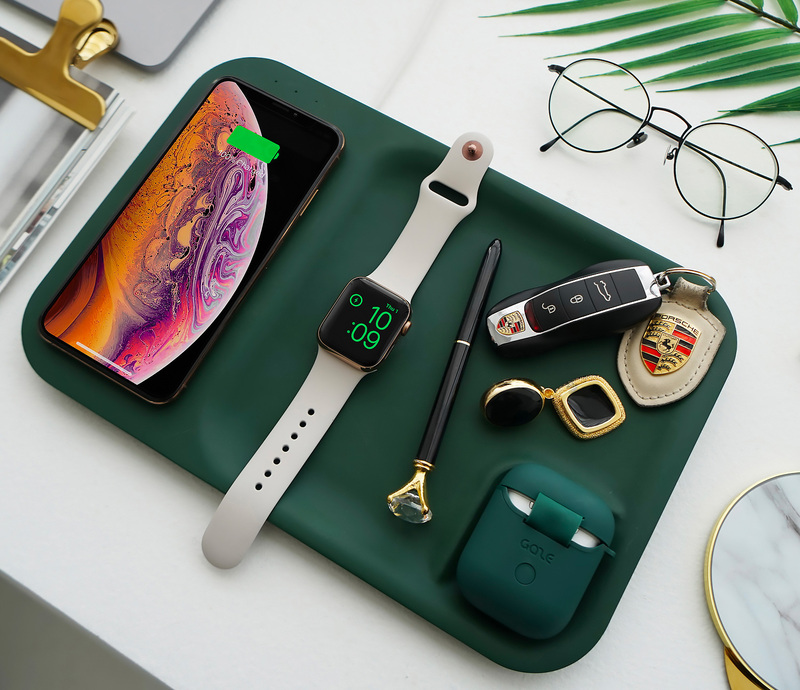 The Gaze Tray debuted at this year’s CES as the world’s first multi-device wireless desktop storage tray that will charge all your Apple devices at once. Up to 5 separate devices actually. If you have more than that, come on. Qi charging for your phone & AirPods & 2 USB ports + AirPods charging case. The tray is available in nine elegant color/finish combinations to blend perfectly into your well-designed life. A funded Indiegogo. At home or on the road, you can plug it all into the Anker PowerPort Cube. 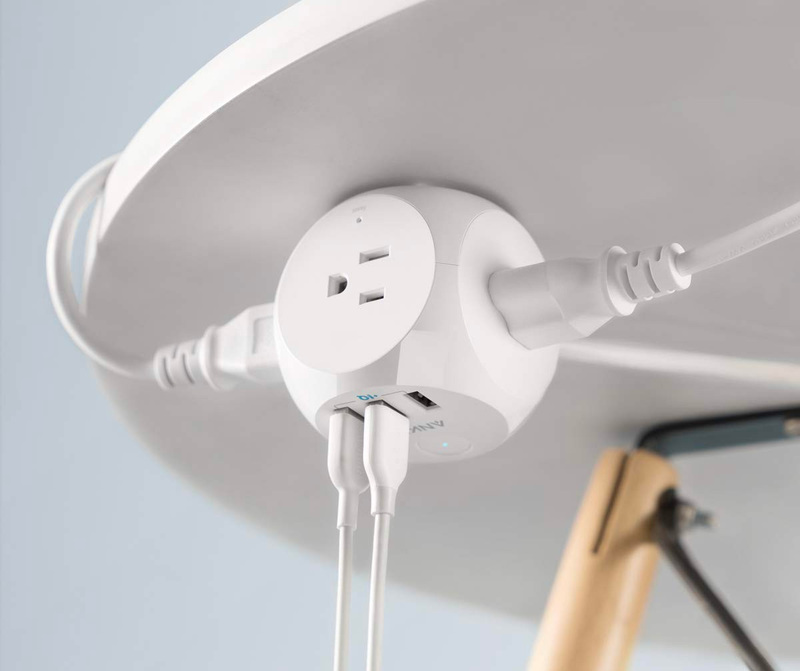 It’s got 3 AC outlets and 3 USB ports to charge up & power everything on your desk from a single compact hub. 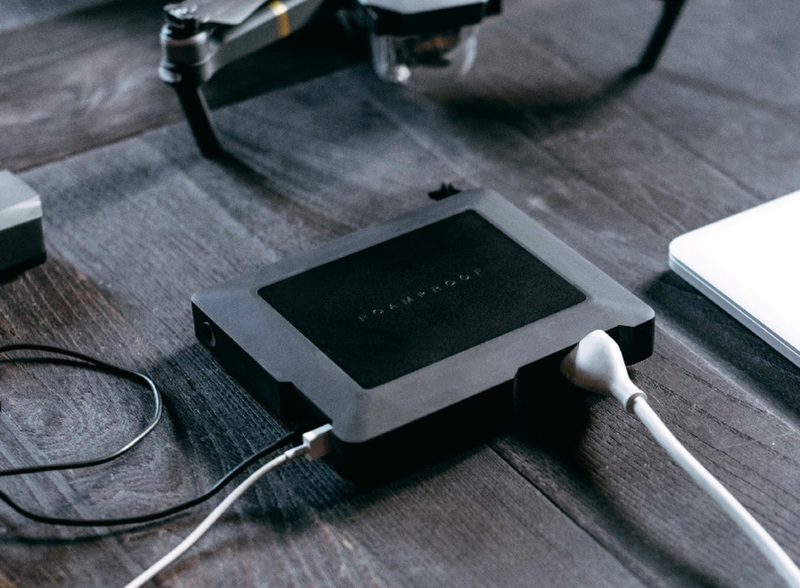 It gives you High-Speed Charging optimized for USB devices, it’s smaller than 2 ½ cubic inches for portability, and it offers overload protection. You’ve needed the High Five for a lot longer than it has existed. Now that it’s here, you can ditch some dongles. The High Five is a 5-in-1 charging cable with all the connections you need in one compact, mini-cable rig. 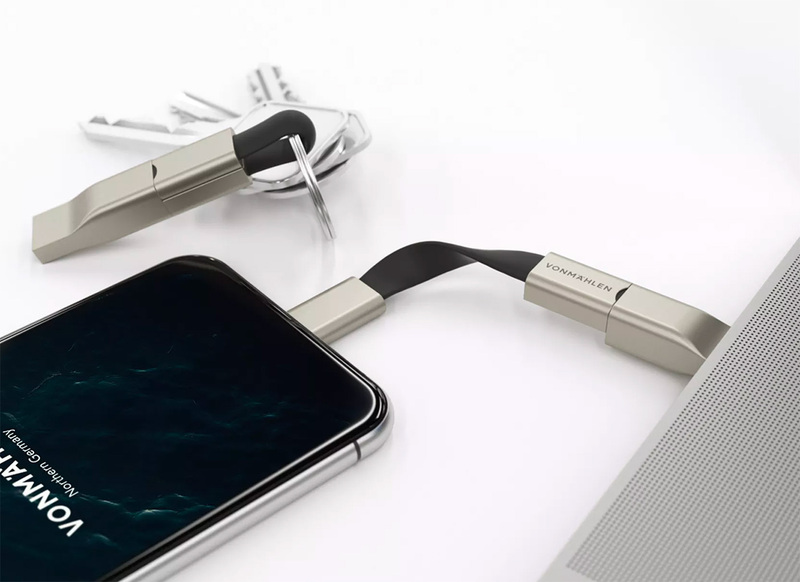 It’s got a USB-A connector, Micro-USB & USB-C output, Lightning & Micro-USB 2-in-1 connector, and a USB-C connector. Fits on your keychain for easy access everywhere you go. The PWR27 Powerstation is the kind of backup power supply that leaves nothing to chance. With 27,000 mAh, it gives you 7 days of power, A/C, USB-C & A outlets. It can charge up to 5 devices at once & it’s also the first A/C powerbank to feature integrated solar battery life extension & emergency trickle recharge. It is IP67 waterproof, crushproof to 2 tons & is drop-proof from 1000+ft. A funded Kickstarter. With a 1TB SD card, the days of swapping out cards mid-shoot are basically over. 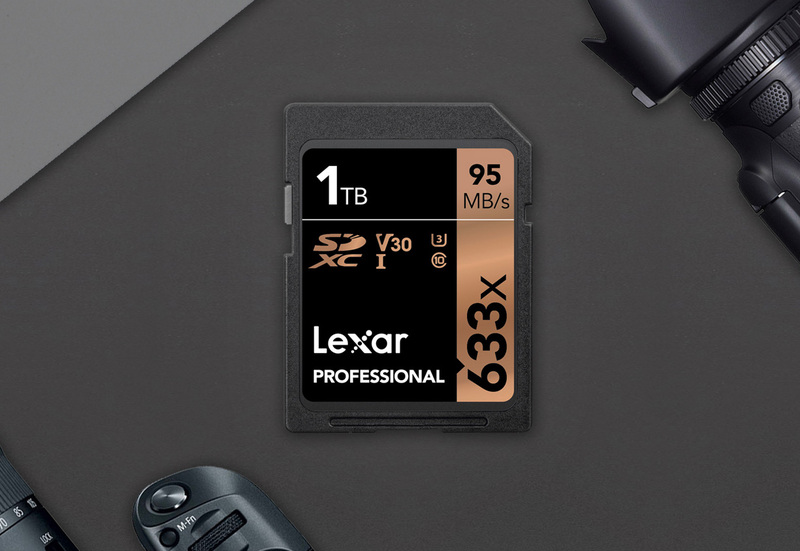 Lexar’s latest high-capacity offering is the Professional 633x SDXC UHS-I, a memory card with enough capacity to store 1 whole terabyte of photo and video content. Boasting transfer speeds up to 95MB per second these cards are not just super capacious, they’re fast, too. 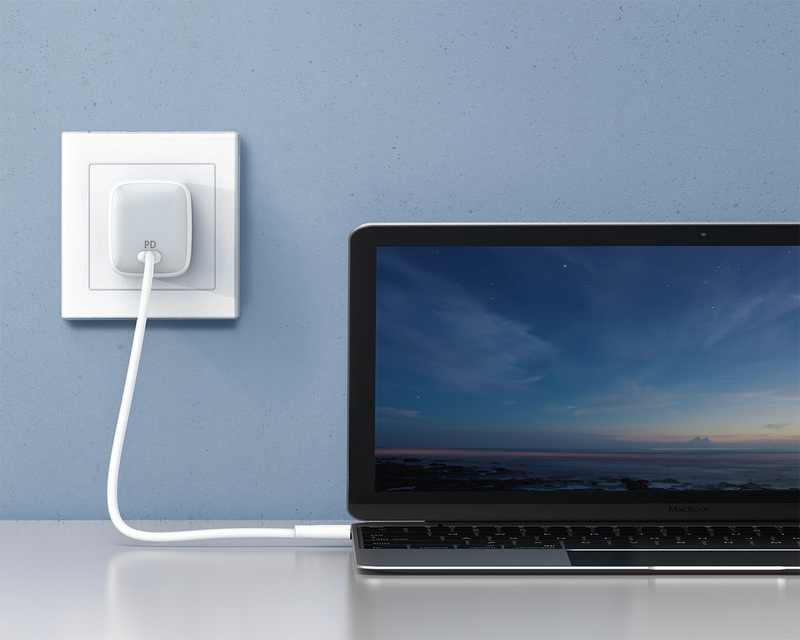 For USB-C power you can take on your travels, there’s nothing out there as small & light as the new PowerPort Atom PD 1 wall charger from Anker. It’s the world’s smallest. It has a 30W output which is enough juice to charge your smartphones, tablets, 12-inch MacBook, Chromebook, or a Nintendo Switch. The brand also has an even more powerful 100-watt dual USB-C, dual USB-A port Atom PD 4 charger in the works. 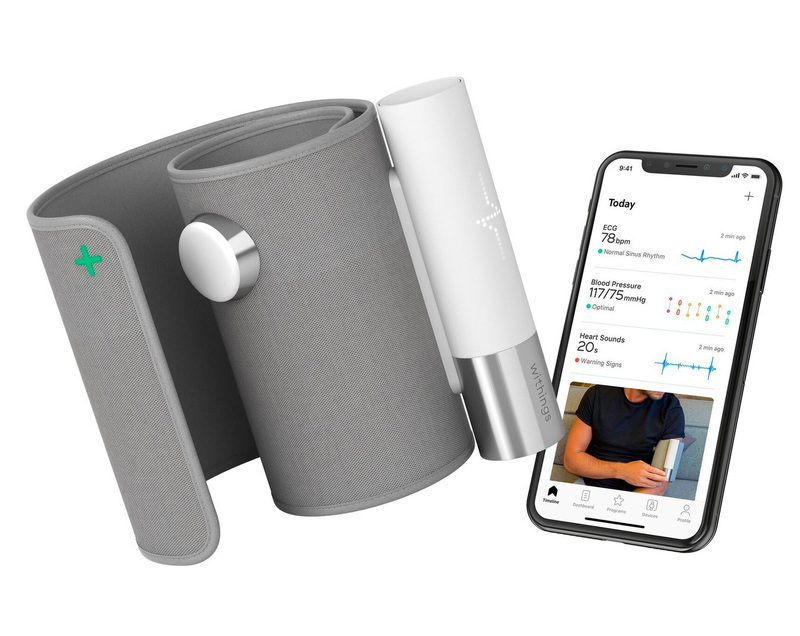 This week at CES, heath technology brand Withings unveiled what they claim to be “the world’s most advanced in-home cardiovascular monitor.” With the looks of a blood pressure cuff, the The BPM Core pairs with the brand’s Health Mate app to track heart health data with three different measurements, which it takes in about 90 seconds: blood pressure, electrocardiogram, and valvular health. Results from these tests sync with the app to be viewable instantly and offer tracking over time. Available sometime in Q2 2019. 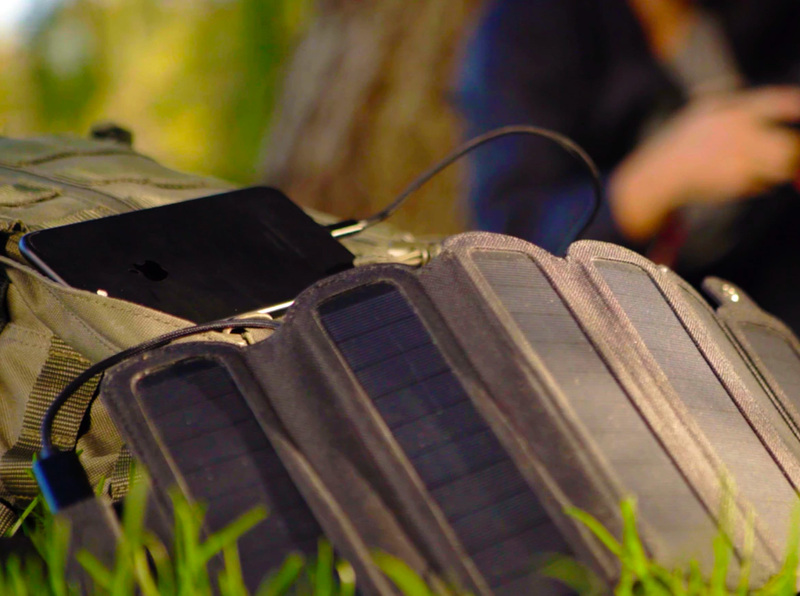 The 6W SolarCru charger is the smallest and lightest foldable solar panel charger on the market. 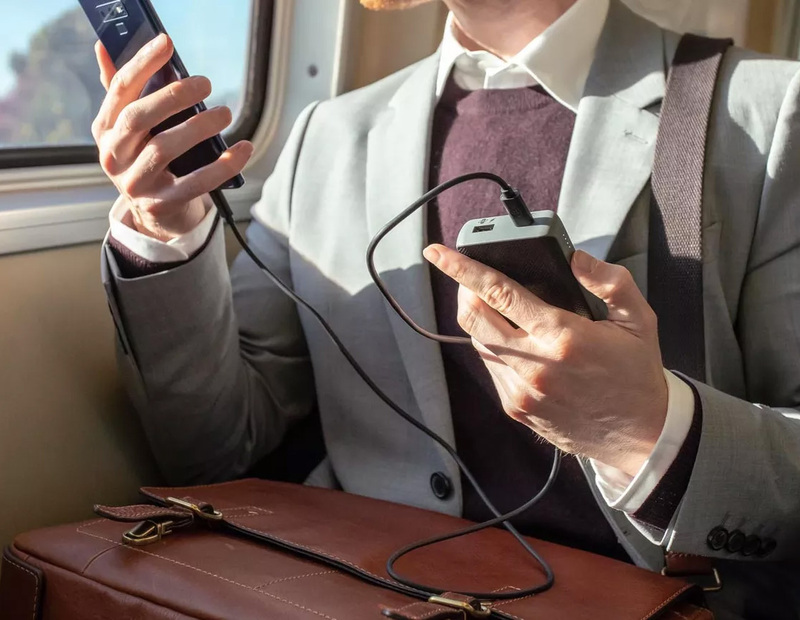 It’ll fit in your pocket or mount to your pack & charge your phone in 3.75 hours, or your tablet in 7.5 but you can also link up to 3 panels together, tripling the wattage to 16W which will charge your phone in just 1 hour. Its super-sensitive solar cells continue charging even in the shade. It comes with a battery bank to also give you backup power to use after the sun sets. 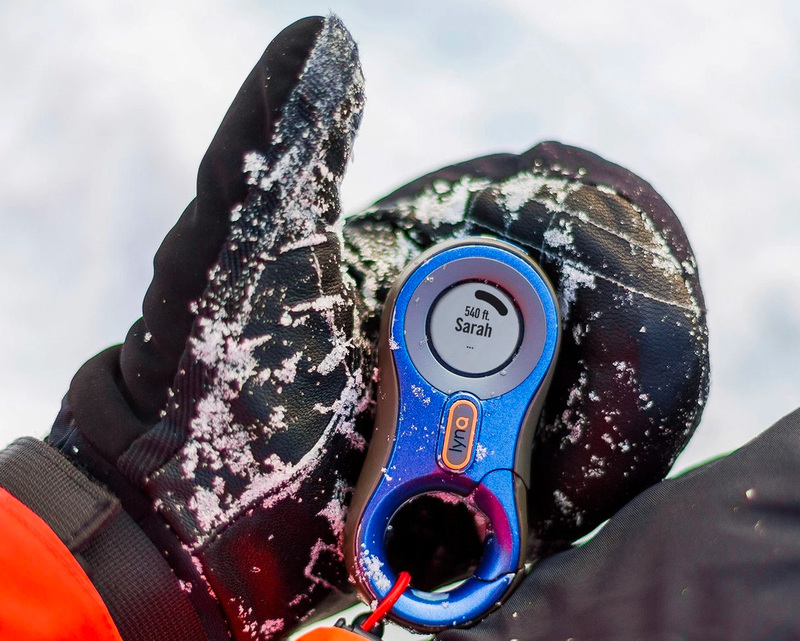 The SolarCru weighs just over a 1/2 pound and is also water, heat, & scratch resistant. A funded Kickstarter. Mophie solved a problem that Apple created for itself when the headphone jack was eliminated & squeezed over into the Lightning port. With their new battery cases for iPhone X, Xs Max, Xs/X and XR, you can charge the phone & listen to music with wired headphones at the same time. These new juice packs provide Qi wireless charging and to charge the case itself, you can either plug it in with a USB-C input or place it on a Qi-based wireless pad. 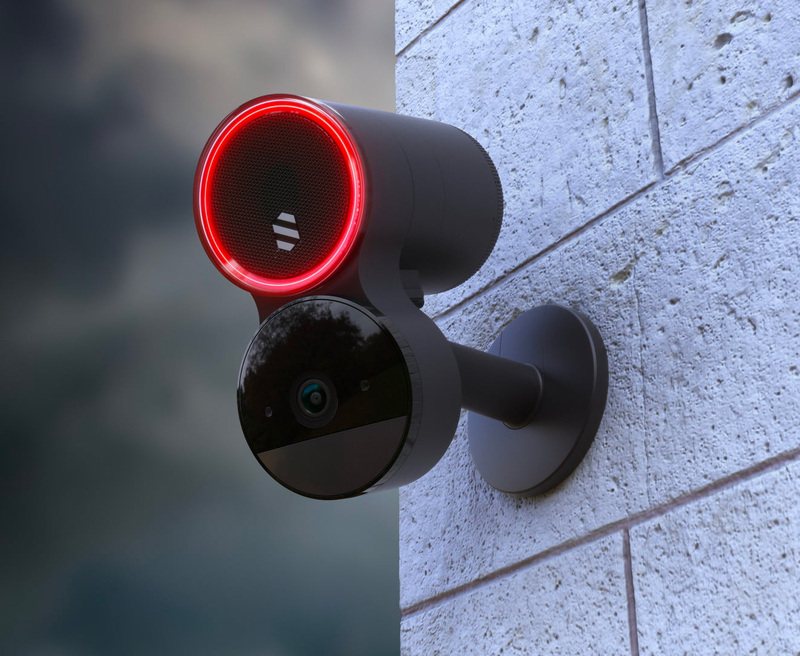 Unlike smart home tech designed to blend into the background, the creators of the Deep Sentinel smart home security camera say this thing was designed to look intimidating. From its shelled logo to the glowing red LED ring that surrounds the speaker, this thing is supposed look mean, not nice. It’s got motion detection, night vision, AI learning technology & all the other features you’d expect. A cloud-based surveillance service is available by subscription. Mophie just dropped a pair of portable, USB-C PD fast-charge battery bricks, the Powerstation PD delivers 6,700mAh of power and the larger Powerstation PD XL offers 10,050 mAh of battery capacity. 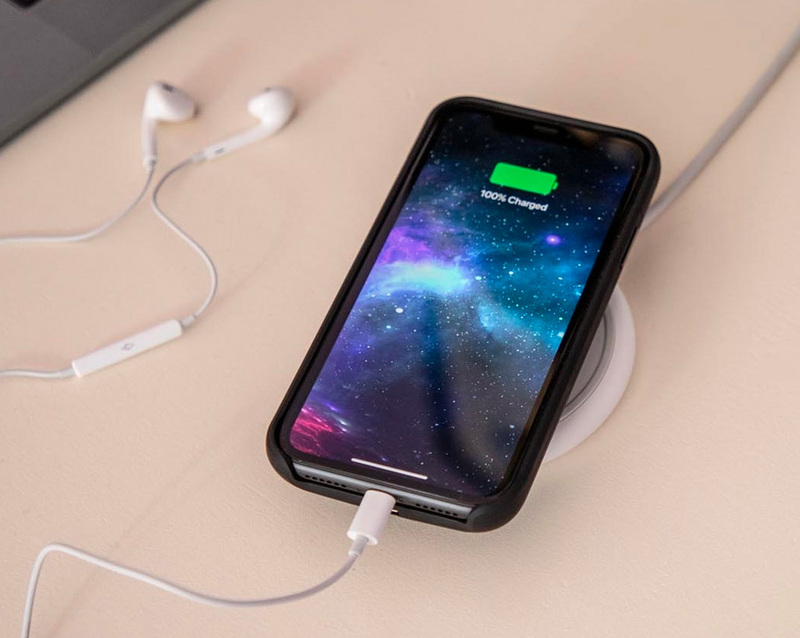 They each feature a USB-C & USB-A port & LEDs that display remaining power & they’ll charge your phone 2.5 faster than a standard backup power supply.